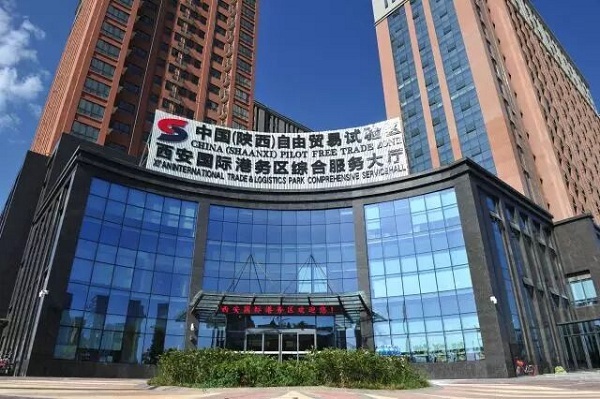 As an important part of the China (Shaanxi) Pilot Free Trade Zone (FTZ), the subzone of Xi'an International Trade and Logistics (ITL) Park has consistently promoted trade, investment, and service facilitation since being launched on April 1, 2017. The ITL Park commercialized the China-Europe freight train by allowing China Merchants Group, Xi'an Lugang Continental Bridge International Logistics Co, and Lugang Group Multimodal Transport Co to operate the routes. The park initiated regional port cooperation and reached a cooperation agreement with the Dubai Multi Commodities Center (DMCC). It launched 24 innovative pilots, such as a customs supervision model, eight of which were selected as national and provincial excellent innovation cases. On May 24, 2018, a new customs clearance model known as "manifest merging" submitted by ITL Park was promoted as a national innovation case, becoming the only national-level case in the third batch of FTZs in the central and western regions. It promotes the pilot of domestic-funded financial leasing enterprises, supports enterprises to carry out cross-border financing business, and conducts large-scale commodity online transactions. Lugang Group conducts cross-border financing through overseas bond issuance and successfully issued three-year overseas bonds worth $200 million in the Hong Kong market. It is the first foreign currency bond successfully issued by enterprises in the Shaanxi FTZ, which has provided references for the park's enterprises. In the past year, 2,348 new enterprises settled in the subzone of ITL Park with a registered capital of $10.8 billion, including 30 foreign-funded enterprises with a registered capital of $434 million. In 2019, ITL Park will continue to carry out the cultivation of innovative cases, increase investment promotion, and strengthen cooperation and exchanges in the FTZ.